Interested in all was happening at the time, Hergé collected a century's worth of mythic and historic imagery. Through his illustrative art and narrative science, he gave the European comic strip its badge of honor. Georges Rémi was born in Etterbeek, Belgium, May 22. Non ce n'est pas Tintin. C'est Totor créé en 1926 par Hergé. FIND THE ODD ONE OUT!!!! As a long time Tintin reader, I can't help but say how much these books have affected my life in a positive way! He created my favorite character. He also created my favorite series. I love this Tintin thing so much! He created a character, improved it, and made his dreams possible. All because of Tintin. And Snowy. I love Tintin, so please, keep it up! 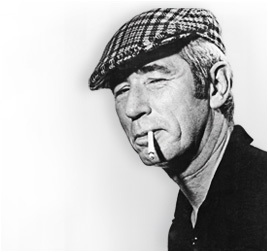 Herge was a great man. Because he didn't let others to complete his way. You think if other guys complete his way , tintin would succsed? IS this the official webpage of moulinsart!?? I love Tintin. I grew up with my Dad buying the books for me. I spent every cent I earned on buying the books. Extraordinaire de voir en image et d'entendre LE créateur d'aventures qui a fait veillé tard dans la nuit tant de lecteur(trice)s de 7 à 77 ans!! i wish the two live action tintin films are in english, or have english subtitles! I am a great Tintin fan. I wish Marlinspike was real, and I could go on a tour of the Marlinspike Hall estate. Sigh!